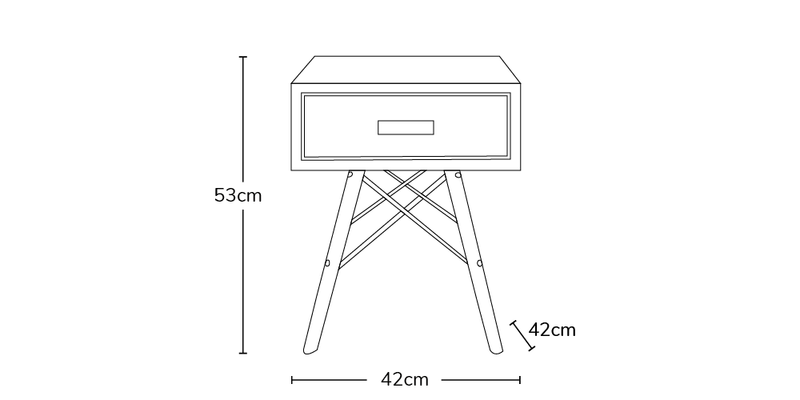 The Eske Draw is an attractive little sidetable, Made using high quality veneered wood set on top of a stylish base which fits perfect with the style DSW chairs. It contains a handy single draw making the Eske is perfect for storing small items close by but hidden from view. The draw has a stylish wooden handle for easy opening. Handmade and manufactured in the UK this draw is designed to suit the modern classic design.